All too often, writers are expected to have much to communicate. To be able to churn out something epic on demand. But all too often, the words aren’t there, often when we need them the most. Creativity is a natural resource, but it is not inexhaustible. Like a flame, it needs fuel or else it will burn out. 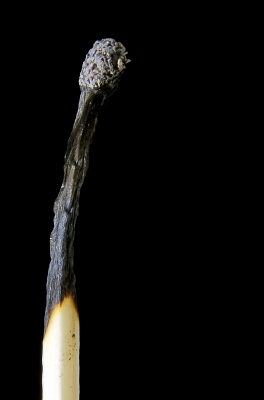 When writers are turning out more than they are putting in, burnout is inevitable. And yet, paradoxically, we can keep producing even after we’ve burned out. But the words hold no oomph, no sparkle, no life. Eventually, the words will stop completely. Possibly because the writer threw his laptop away, but more likely because the demand of deadlines, blank pages, or no feedback grew overwhelming. Burnout is all too common with writers. I’ve experienced it so often and so regularly that I should be able to forecast it. But it always surprises me how quickly it can pop up and pull me under. Because I ignore the symptoms and neglect to refuel, I begin losing steam, losing heart, and right about the time I hear myself threatening to throw everything to the wind, I diagnose the early stages of burnout and can self-prescribe a break to regain perspective and the love of writing. The break always takes less time than expected. When I can no longer keep away from the keyboard, I know my burnout is cured. Sometimes, though, it’s only the symptoms that are gone, and in order for a complete cure, I have to make changes to my schedule and workload. Einstein, after his “speech,” added, “In case I have something to say, I’ll come back and say it.” It was six months before he did. And when he came back, everyone was there to hear his speech, perhaps more eager than before. When the words won’t come, forcing creativity benefits neither writer nor reader. Better to produce top-quality material less frequently than to force drivel consistently. So, if you don’t see posts here every other Wednesday, know it’s because I want to produce top-quality posts for my followers. By no means am I backing away from The Empty Inkwell, though! As long as the Lord leads, I’ll keep spilling ink here, just maybe not as often. When I’m refueled again, I look forward to connecting! You don’t have to say a word Meagan, just don’t give me that look. We’ve all been there. It is wise to take the time when it is needed.